Passioned, enthusiastic, full of fun and with allot of smiles I shoot the images of you, your children and your family. Whether it is a location in a forest, the beach or even in the snow, every location has it own lovely charm and will be used as a beautiful decor in all your images. 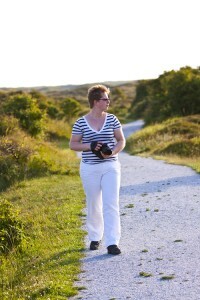 If you are looking for a photographer in Leiden, Katwijk, Noordwijk or surrounding areas please think of me! My name is Margriet Hulsker, born in 1982 and mother of a lovely girl (2012). Besides my daily job at the LUMC as research annalist at DMD (a muscle disease in boys) I have started my own photography business in 2010. What started as a passion soon grew into a dream coming true. Friends and family started asking me to photography special occasions in their lives; like the birth of their baby or a beautiful wedding. Of course I could not turn down these magnificent opportunities and took them with both hands. Every shoot – no matter if it is a maternity shoot, a new born baby shoot or a wedding – tells its own story and has his own emotion and wonderful moments. THAT is what I try to capture with passion each time again! Taking images of people and baby’s is my passion. It’s what I love to do every day again! The smile of a baby or a toddler is so much worth. The pride of a mother when the little one is lifting her head and can keep it steady, or when the little one can sit up straight is so lovely to see and is wonderful to capture on film as a lifetime treasured memory. The sin that some children have in them and you can see sparkling in their eyes is something I want to capture and being memorize for live. I try to capture the children the way they really are; not sitting nicely and looking directly into the camera, but by playing around, me chasing them to get them on film!